Every business should have an EIN (IRS Employer Identification Number). If you have a corporation or LLC, it should have its own EIN for tax purposes. If you’re a sole proprietor, using an EIN means you won’t have to provide your social security number on W-9 forms. While it may seem complicated, this task can be accomplished for free in about 5 minutes. Because it’s so easy, it’s not worthwhile for you to pay a service to obtain your EIN. 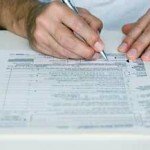 The IRS provides you four ways to obtain your EIN: by filling out an on-line application, applying by telephone in just a few minutes, faxing a completed SS-4, or by US mail. The Internet EIN application is the preferred method for customers to apply for and obtain an EIN. Once your application is completed, the information is validated online, and an EIN is issued immediately. The online application process is available for all entities whose principal business, office or agency, or legal residence (in the case of an individual), is located in the United States or U.S. Territories. The principal officer, general partner, grantor, owner, trustor, etc. must have a valid Taxpayer Identification Number (Social Security Number, Employer Identification Number, or Individual Taxpayer Identification Number) in order to use the online application. Taxpayers can obtain an EIN immediately by calling the Business & Specialty Tax Line at (800) 829-4933 between 7:00 a.m. – 7:00 p.m. local time, Monday through Friday. An assistor takes the information, assigns the EIN, and provides the number to an authorized individual over the telephone. Note: International applicants must call (267) 941-1099 (Not a toll-free number). Taxpayers can FAX a completed Form SS-4 (PDF) application to their state FAX number (see Where to File – Business Forms and Filing Addresses). Your EIN will be assigned using the appropriate procedures for the entity type. 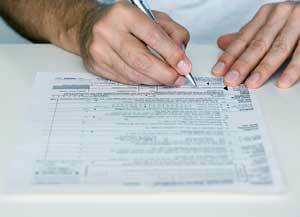 If the taxpayer’s fax number is provided, a fax will be sent back with the EIN within four (4) business days. The processing timeframe for an EIN application received by mail is four weeks. Mail a completed Form SS-4 (PDF) to the address you’ll find on the IRS website’s “Where to File Your Taxes” (for Form SS-4) page. If you get your EIN online or by phone, don’t forget to write down the number or print the page. An official letter will be mailed to you later. If you prefer hard copy, Dodge Legal Group clients have instructions and the form in their personalized company binder or you can download by clicking the link on the Start Up page of this website.